The perfect tool for gutting and skinning. A collaboration between Glenn Klecker and David Kurt, a lifelong hunter and custom knife maker. This lightweight drop point, all around hunting knife is simple to pack but designed to get the big jobs done. The G-10 handle and thumb jimping are comfortable and have easy to grip finger notches that keep it in place, even when the cutting is wet and slippery. A full-size removable gut hook and bottle opener are concealed in the handle, perfect for gutting, skinning, and popping the top off of a cold one. From skinning to quartering, the 3.97-inch fine edge blade is designed for smooth engagement and firm cutting. Teaching knife safety to your kids used to be a rite of passage, and for good reason. Klecker Knives wants to revive that tradition, so they’re as serious about their knives as safety education. Glenn Klecker created the Trigger Knife Kit so his son, Nathan, could learn proper knife use. With supervision, kids can build, take apart, and rebuild the plastic prototype. In the process, they understand safe handling while gaining respect for knives. Glenn also puts his passion into creating high performance cutting tools for avid outdoorsmen. 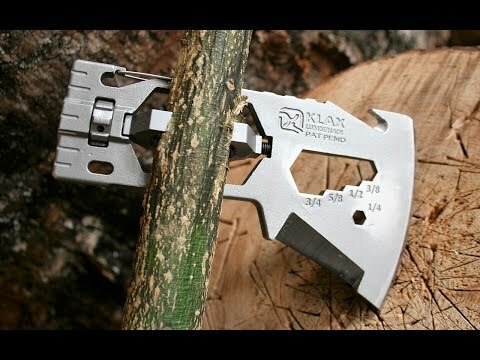 On a camping trip or in an emergency, The KLAX is both a multi-tool and an axehead. Without this handle it’s got seven different functions—from a hammer head to a hex wrench and a knife. With the right branch you can even fashion your own handle out in the field. Its innovative clamping system grabs onto an impressive range of wood sizes. 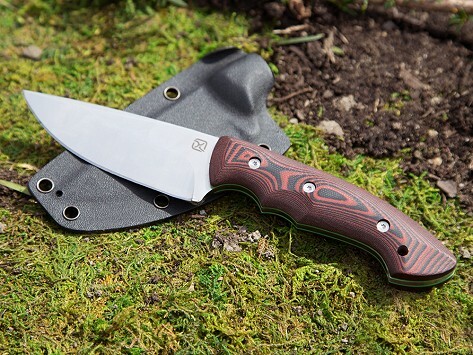 Another Klecker favorite is the Abiqua knife. When out hunting or camping, this low profile tool gets tough jobs—like skinning and gutting—done. With his commitment to creating effective tools and advocating knife safety, we say Glenn is certainly sharper than most.